Join over 35 million people who read, listen and share God's Word using the Bible App. Huge selection of 200+ free Bible versions and 200+ plans to help you track your progress. 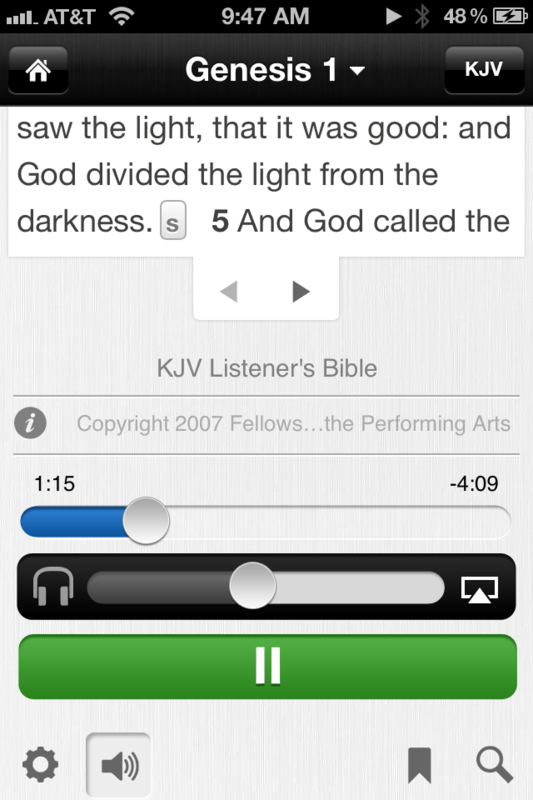 Now the Bible reads to you with audio Bibles! No in-app purchases - everything is free. • Download many great translations to use while you are offline (no data connection) or in “airplane mode”: The Message, NKJV, KJV, NET, NCV, NASB, AMP, God’s Word, ASV, WEB, Reina-Valera 1960, ELB, LSG, CUVS, CUV, NB88/07 and many, many more. • Free access to many modern English translations including the NIV, ESV, NLT, NKJV, AMP, NASB, CEV, NET, WEB, NCV, TNIV, HCSB, The Message, and more. • Free access to many modern Spanish translations including the Reina-Valera 1960 (RVR60), NVI, LBLA, NBLH, and more. 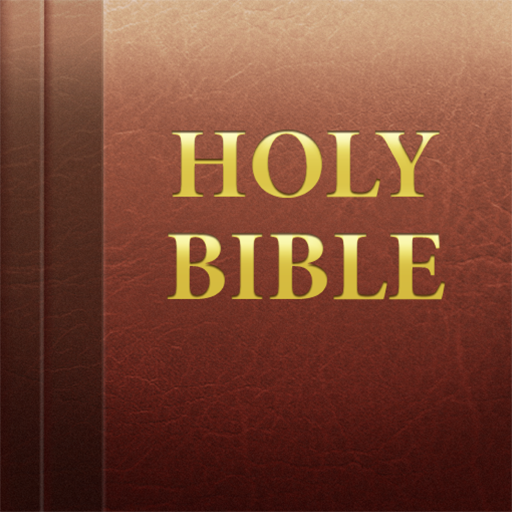 • Free access many foreign language Bibles including German, French, Italian, Chinese Simplified and Traditional, Swedish, Korean, Japanese, Norwegian, Czech, Bulgarian, Dutch, Portuguese, Romanian, Russian, and more. 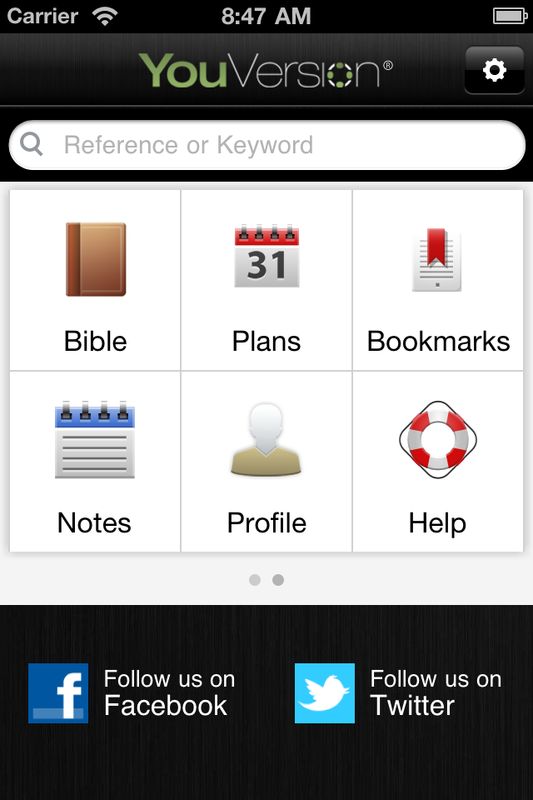 • Easily search the Bible for either a reference or a keyword. Search results are displayed quickly for fast navigation. • Choose from dozens of daily reading plans to help you read the Bible consistently. 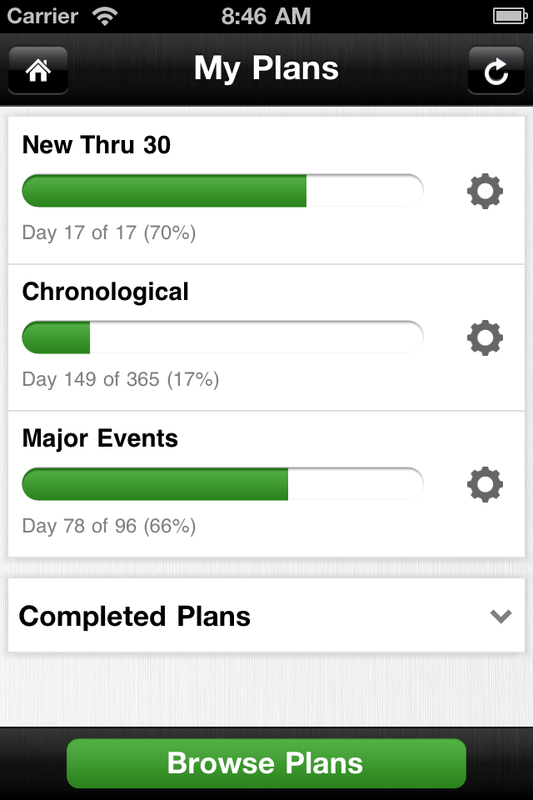 Track your reading progress, sync your changes back to YouVersion.com where you can join millions of other YouVersion users and discuss what you’ve read. 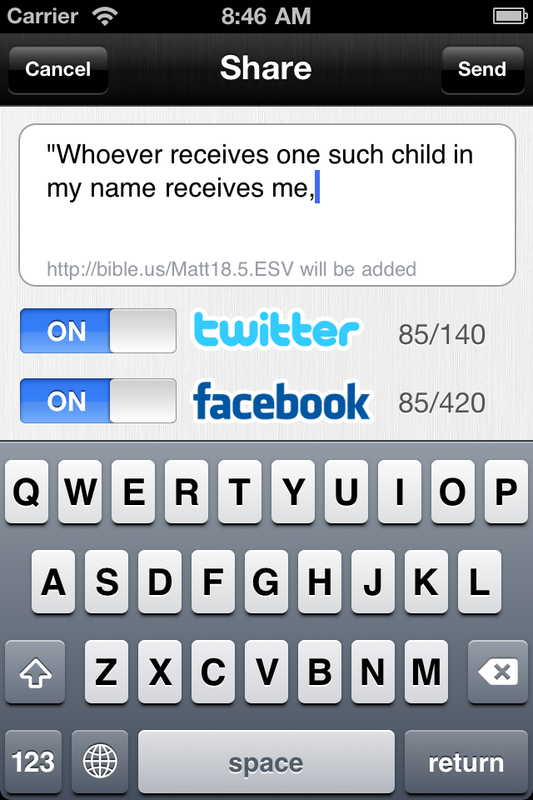 • Connect your Twitter and Facebook account to easily tweet and post verses. • NOTES! Take notes and keep them public or private. Notes are synced with YouVersion.com. 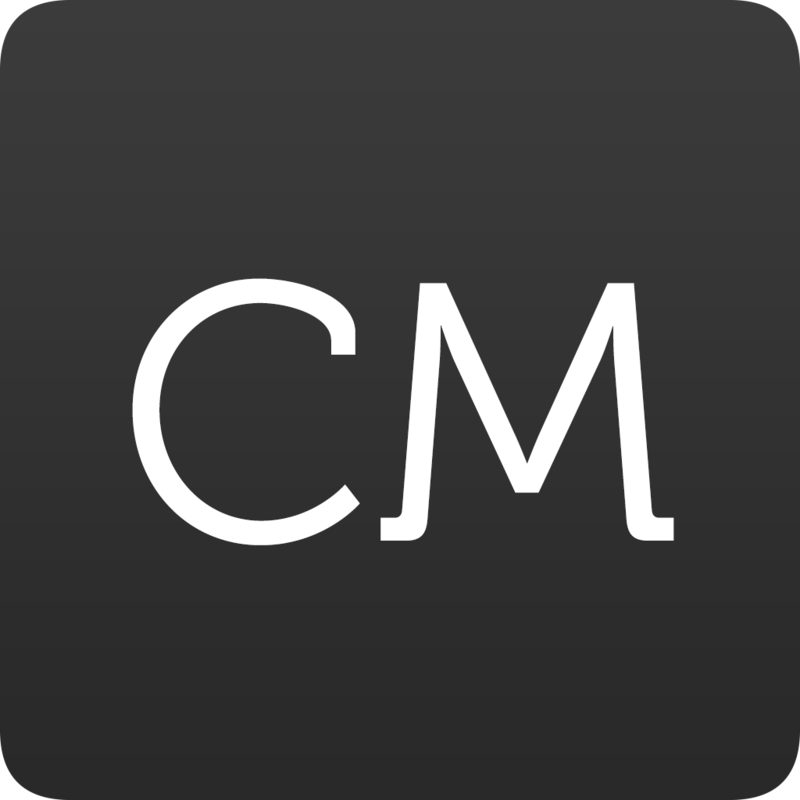 View public notes (used to be called contributions) from other Bible App users. 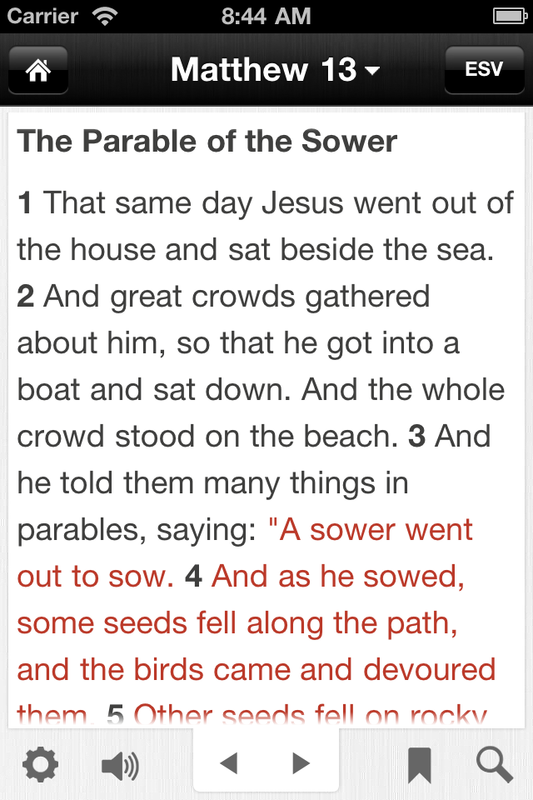 USE THE BIBLE APP IN CHURCH • Interact with church services and conferences…Just tap the “Live” icon in the dock at the bottom when attending a church service or event where YouVersion Live is being used. Take notes, respond to polls, answer questions, tweet about the event, and more!